It’s not easy to keep your cool! Yesterday’s mechanical fans just can’t cut it! And todays cramped engine bays with high compression and turbo charged engines don’t help either. You need a compact and efficient alternative. 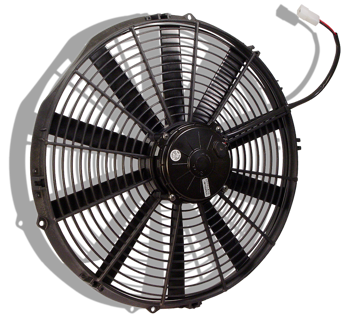 Founded in 1959 in Italy, Spal has been designing and producing electric fans for a wide variety of applications from power-sports to Nascar and just about everything in between. They're available in pusher or puller designs, with paddle, straight, or curved blades.